This year we got you a totally free Purchase Order software system and support. Feel free to re-gift to your friends and business associates. Everyone loves free PO Software in their stocking, from your lawyer to your dentist to your contractor. Have fun and be safe everyone. 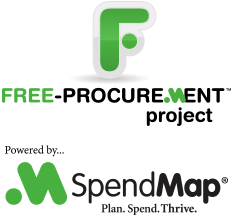 – Your friends at the Free-Procurement Project and SpendMap.